A healthy diet is beneficial & is required for human nutrition. Eating healthy (Fit Food) boosts metabolism & reduces the risk of diseases or any health related conditions. Most Fit Food should exclude excessive amounts of sodium & sugar. Consuming vegetables is a great way to stay healthy; especially if their organic. Organic vegetables tend to be highly priced, that’s just because farmers are not allowed to use synthetic pesticides, petroleum-based fertilizers, bio-engineered genes (GMOs) & sewage sludge-based fertilizers which make them more nutritious. Nevertheless conventionally grown vegetables can also holds some nutrients & also provide some benefits, so if you can’t afford the organic lifestyle then stick to the basics because vegetables can be tasty & delicious raw or cooked. A wholesome diet & lifestyle can help a person live a long, healthy, better & nutritious life. A lack of healthy & nutritious food will soon lead to a person living an unhealthy & inactive lifestyle which can also cause you to gain weight which may then cause obesity. Although, whilst maintaining your balanced diet, you need to ensure that you also consume foods that include a low fat content in order to reduce the risk of of being affected by Cancer, Diabetes, Osteoporosis, Heart disease, Strokes, & rotting of the teeth. A good diet should contain all the different food groups in the right quantities & not only contain one single food group as this cannot provide everything a human needs for good health. There are five main food groups – whole grains, fruit & vegetables, protein, diary, fat & sugar. 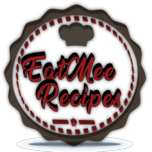 EatMee has compiled various Fit Food recipes to help & motivate you into living a more healthier lifestyle, so be sure to eat a suitable amount & also try to incorporate exercise into your daily routine.